When you are on holiday in San Fulgencio and you have had enough of the sun and the beach, then drive once the beautiful inland direction Guadelest. 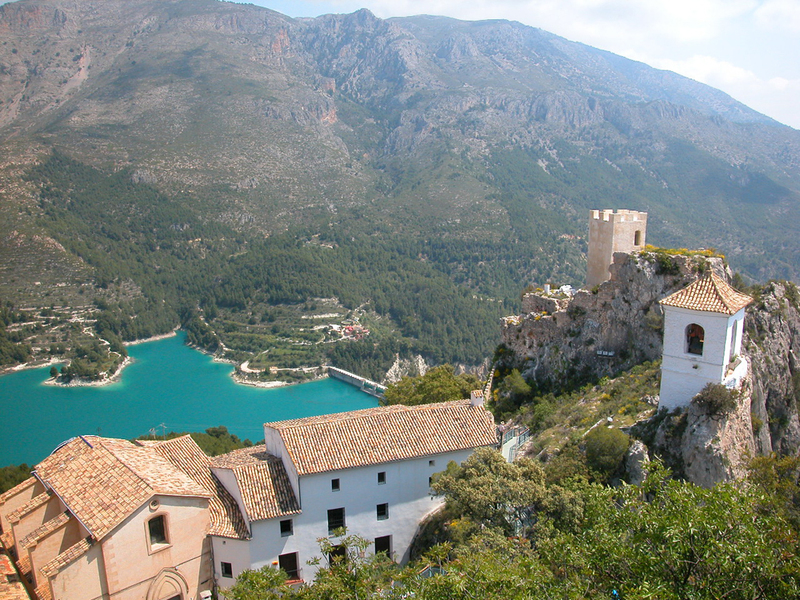 Guadelest is one of the most popular and most visited tourist attractions of the Costa Blanca. Guadelest is a tiny village with about 200 inhabitants. It is located on the top of a mountain. From Guadelest you have a beautiful view over the lake and the green valley with the many other mountains in the background. The only way to Guadelest enter through a 15 meter long tunnel that runs through a rock. 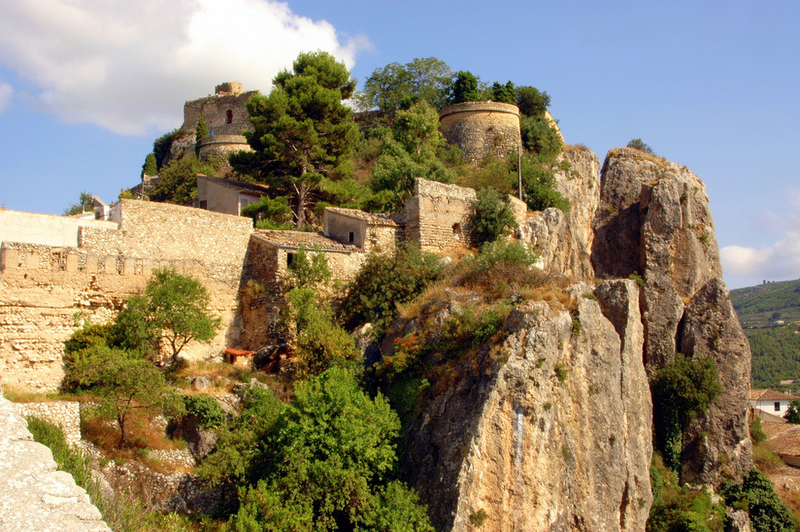 Visit the Castle of San José, Fort Alcozaiba, Casa Orduña (museum), the Parochial Church in Baroque style and the Prison of the XII century located under the town hall. Guadelest is about a half hour drive from San Fulgencio but it's really worth it. On the way back from Guadelest you should not forget to visit the waterfalls of Algar. They are 15 minutes drive from Guadelest. 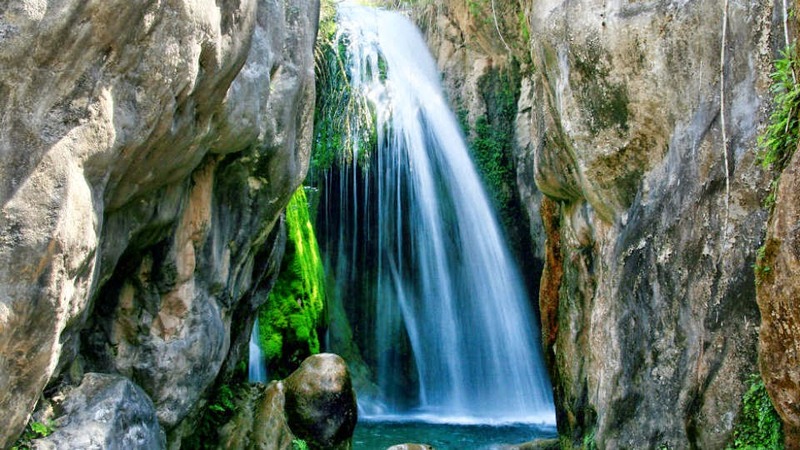 The waterfalls of Algar are situated in a village called Callosa d'En Sarria. The waterfalls and nature of Algar are really beautiful to see and you can also swim. The water is very cold, but very refreshing. Not only holidaymakers come here, the locals come from far away to take a dip in the natural pools of the waterfalls of Algar. The entrance fee is € 4 for adults and € 3 for children.